It’s November, which means it’s officially holiday baking season (at least to me it is)! While I enjoy cooking just about anything, baking is my true love, and in the last few months I’ve done a bit of experimenting gearing up for this warm, cozy season. These cookies came to be at the last minute preparing to join friends at a fall-themed tea party play date. I wanted to make something quick and easy but with a little bit of fall flavor. I think my favorite thing about this recipe is that you could easily re-create them with some simple shortcut modifications. If you don’t have time to prepare cookie dough from scratch, you could just buy a roll from the store and add the Mexican hot chocolate topping. If you are making the dough from scratch, I think using both shortening and butter allows these cookies to have excellent flavor and also stay nice and chewy. Additionally, the Mexican hot chocolate topping can be used to add some kick to just about anything – pancakes, hot chocolate, coffee, you name it! Yum! 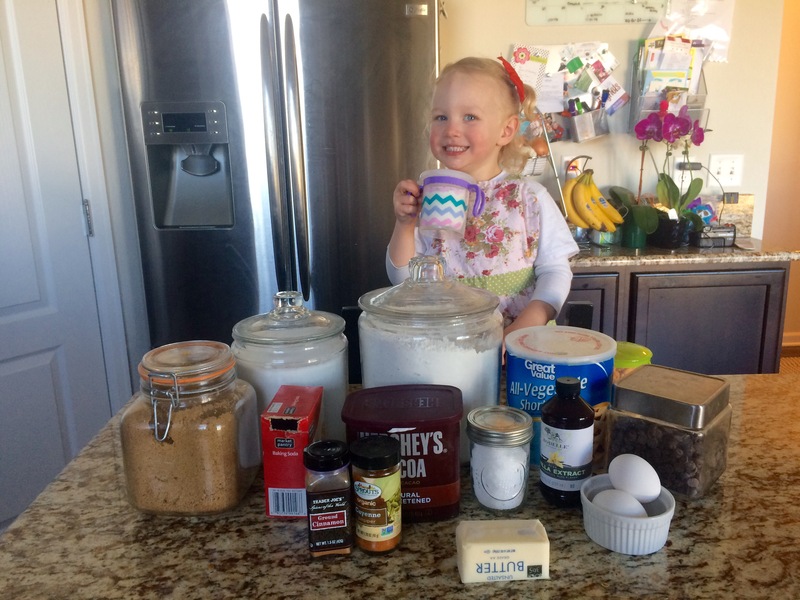 Mommy’s little sous chef loved making these cookies! Cream the butter, shortening and sugars together in the bowl of a stand mixer (or in a large bowl using a hand mixer). Beat in the eggs, one at a time then the vanilla. In a small ramekin, whisk together the baking soda and water until the baking soda has dissolved and add to the batter. With the mixer speed on its lowest setting, slowly add the flour and salt to the batter until just combined. Turn off the mixer and add the chocolate chips to the bowl. Stir with a wooden spoon until the chocolate chips are evenly distributed. To make the Mexican hot chocolate topping, whisk all the ingredients in a small bowl until well combined. 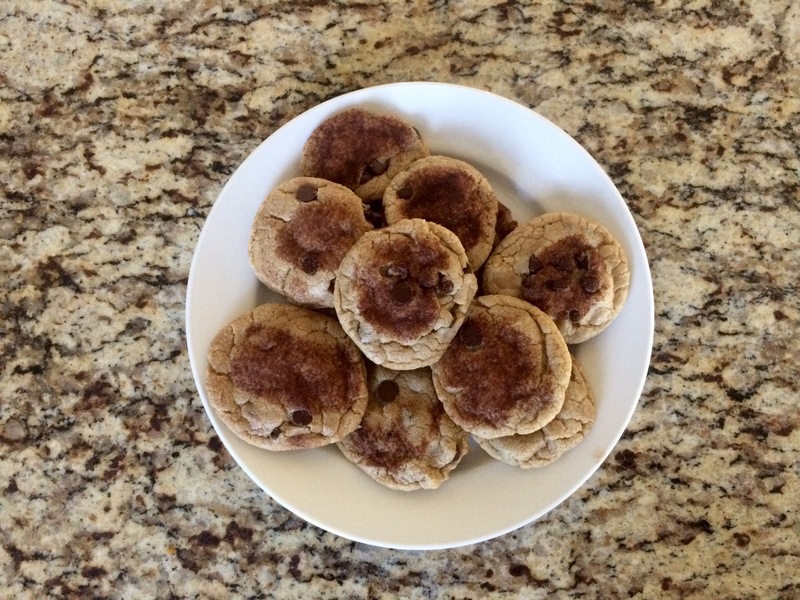 To form the cookies, roll 2 tablespoons of dough between your hands to form balls. Dip each ball of dough into the Mexican hot chocolate topping and transfer to a prepared baking sheet (parchment paper or silicone baking mats work great to keep the cookies from sticking). Bake for 9 to 11 minutes or until the edges of the cookies are beginning to turn brown. Leave the cookies to cool 10 minutes on the baking sheets. By then they should be ready to scarf but if you’re packaging them up to take somewhere, best to transfer to a wire rack to cool completely.